Year you started collecting: 1967, collected the entire series of Hardy Boys books and began a life-long passion for reading and books. 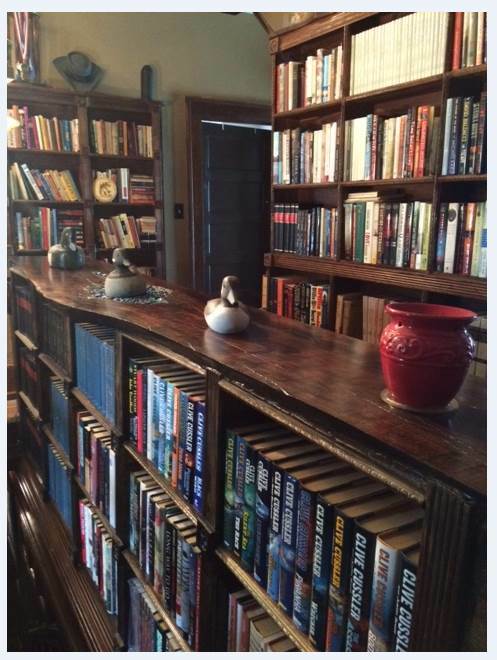 Shelving method (by genre, author, signed copies): Mostly fiction by author, non-fiction by subject. Favorite treasure (s): Carter’s Grove by Ivor Noel Hume (Other than the Bible, it is the only book I have read multiple times. It is that good. Favorite part of having signed books: Having a signed book provides me with a physical connection to the author. It’s kind of like the feeling I get when I dig a Civil War relic and know that the last person to touch that item was a soldier who lived more than 150 years ago. A signed book was actually handled by the author which makes it extra-special.